As a universal pathogen leading to neonatal defects and transplant failure, human cytomegalovirus (HCMV) has strict species specificity and this has prevented the development of a suitable animal model for the pathogenesis study. The mechanism of cross-species barrier remains elusive and there are so far no non-human cell culture models that support HCMV replication. The Chinese tree shrew (Tupaia belangeri chinensis) is a small laboratory animal and evolutionary closely related with primates. We investigated the susceptibility of primary tree shrew dermis fibroblasts (TSDF) to HCMV infection. Infection with a GFP-expressing HCMV virus resulted in green fluorescence in infected cells with the expression of IE1, UL44 and pp28. 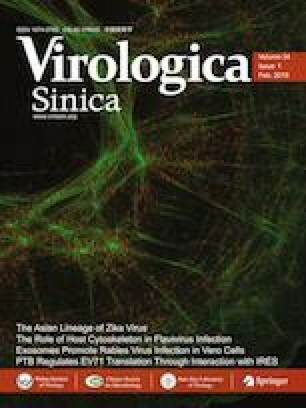 The titers of cell-free viruses reached 103 PFU/mL at 96 hpi, compared to titers of 104 PFU/mL observed in primary human foreskin fibroblasts. Our results suggested that TSDF was semi-permissive for HCMV infection. The TSDF model could be further used to investigate key factors influencing cross-species multiplication of HCMV. The online version of this article ( https://doi.org/10.1007/s12250-019-00106-3) contains supplementary material, which is available to authorized users. Shu-Wei Dong, Ling-Shuai Jiao and Ming Yang have contributed equally to this work. This work was supported by the National Key Research and Development Project of China (2017YFC1309302), the Applied Basic Research Projects of Yunnan Province (2018FD034), and the Yunnan Provincial Department of Education Science Research Fund Project (1405189906). SWD conceived the experiments. SWD and LSJ designed the experimental flow. LSJ, MY, YLD, and YBC performed the experiments. LSJ performed statistical analyses. SWD wrote the manuscript. FZ, AMZ, and LL reviewed the manuscript. MHL and XSX supervised the project. All authors read and approved the final manuscript. All experiments and protocols in this study were reviewed and approved by the Institutional Ethical Committee of Kunming University of Science and Technology.